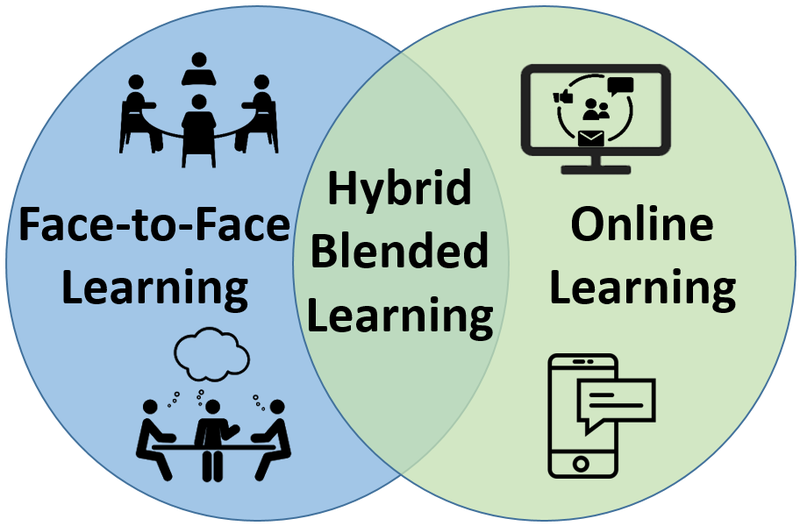 Hybrid/Blended teaching moves the role of the faculty towards “guide on side” and the role of the student towards “active learning.” Active learning requires student engagement and responsibility in their learning process and faculty preparation in their course design. Why Blended (Learning), Why Now? 1 Garrison, D. Randy, and Heather Kanuka. “Blended learning: Uncovering its transformative potential in higher education.” The internet and higher education 7.2 (2004): 95-105. 2, 3 Ionas, Ioan, Matthew Easter, William Miller, and Gayla Neumeyer. “Using Open-Source Tools to Design and Develop the Online Component of a Blended-Learning, Instructor-led Course,.” International Journal of Designs for Learning 3.1 (2012): 12-26. http://scholarworks.iu.edu/journals/index.php/ijdl/index. Web. 14 Nov. 2012.